Whether it is the demolition of a building or the clearing of a contaminated brown field site, recycling and waste management planning is critical from the embryonic stages of every project. As part of a wider assessment of sustainability, we develop waste management strategies for each individual demolition projects using the on-line waste management tool ‘SMARTWaste’, in accordance with the Site Waste Management Plans Regulations. Every component of waste management is considered, including rubbish collection, rubbish clearance and rubbish removal to waste oil collection and hazardous waste disposal. A pre demolition site audit of potential reclaimable and recyclable materials is undertaken, allowing us to reduce waste disposal and its costs, maximise available resources and improve its efficiency; reduce landfill use & tax payments; make better use of materials and meet legislation requirements. Our demolition company regularly collect data for other environmental and social sustainability factors such as emission, supplier and energy use data. Together with recycling and waste management they can form a key component in helping you to achieve a high BREEAM rating. Materials considered for reclaim and recycling range from crushed reinforced concrete, mechanical and electrical plant, office furniture, structural timber, light fittings, bricks, slates, tiles, doors, wood floors, panelling, sanitary ware, socket outlets, radiators, kitchens, cabling and salvageable artefacts. According to our waste management recovery index records, on completion of many projects we have managed to divert between 90 – 99.6% of waste, directly away from landfill, of which we are extremely proud. 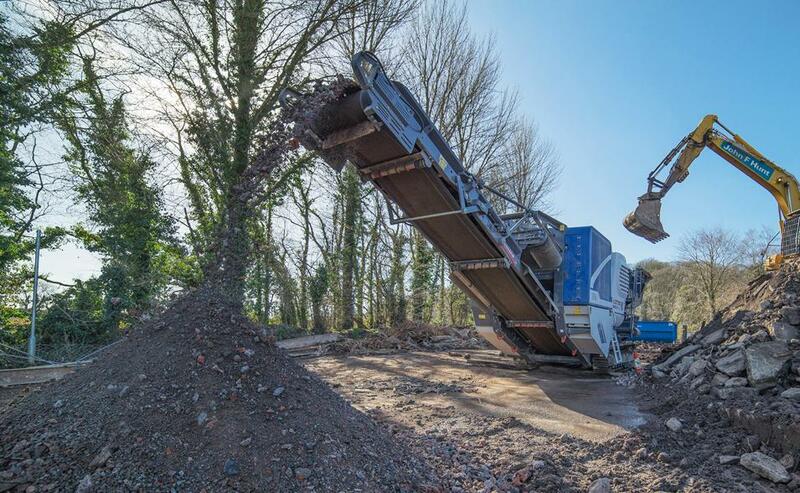 Waste management and recycling planning, as part of our demolition services, is operated from offices in Essex and London, whilst Group offices in West London, East London, Canterbury, Birmingham, Bristol, Leicester and Newcastle provide support for demolition projects further afield.